Wednesday 13th June 2018 by Vane Nunez in Accessories, Sony. Today we’re going to recommend five of our favourite accessories for the new Xperia XZ2 and Xperia XZ2 Compact smartphones from Sony. These XZ2 accessories are designed to offer incredible value for money, adding new functions to your Xperia XZ2 or keeping it safe in the face of danger. Hopefully you’ll find at least a couple of accessory ideas that you really like. Without further ado, here is our top five list! The most important accessory is one that keeps your Xperia XZ2 safe. No matter whether you’re using a case or not, adding a screen protector is the best way to ensure you don’t have to suffer annoying cracks or a costly screen repair. This screen protector from Roxfit is made from curved, tempered glass that provides a close fit and legendary endurance. 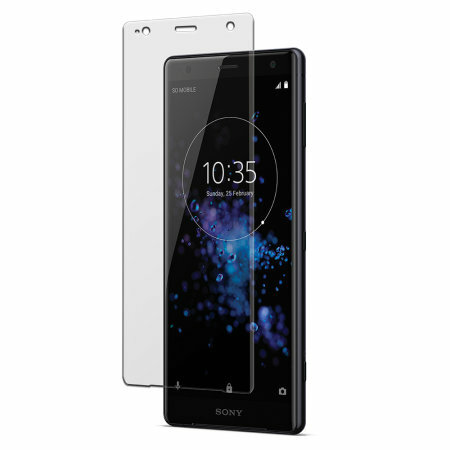 This Sony XZ2 screen protector is easy to apply too, thanks to its rigid design, and it includes an oleophobic coating which resists fingerprints, dust and other grime. There are plenty of wireless charging pads on the market that will work with the Xperia XZ2, but I wanted to find a special one. 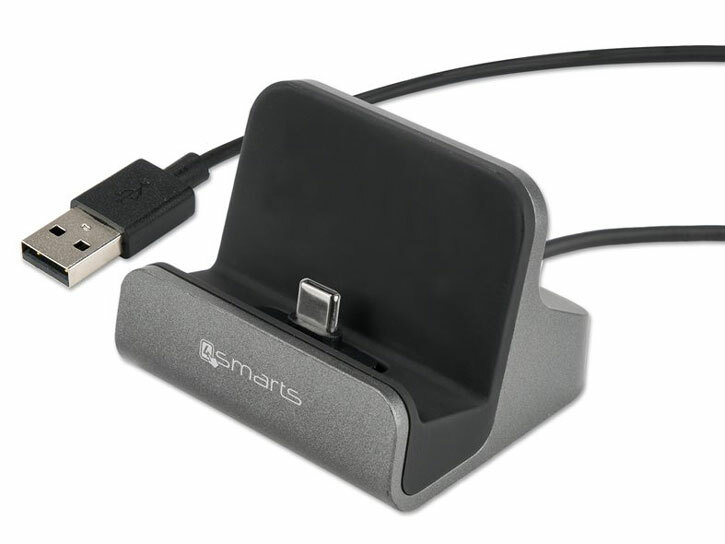 This example from 4smarts certainly fits that description, as it includes three ports to ensure you can provide power to the universal wireless charger no matter which cable you have on hand: Lightning, Micro USB and of course USB-C ports are all included. 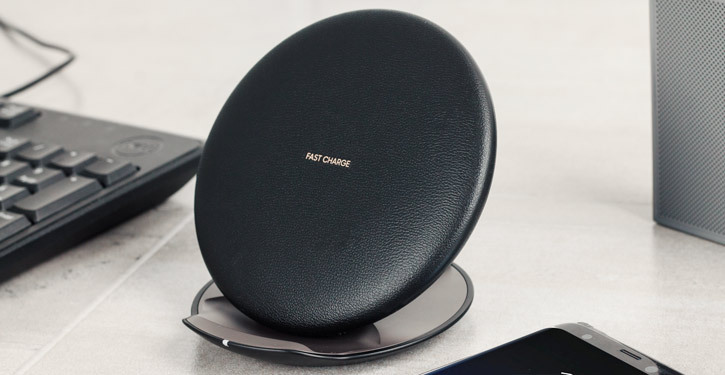 The wireless charger offers good charging speeds and is made from premium materials too — awesome. Our top recommendation is a Micro SD card! 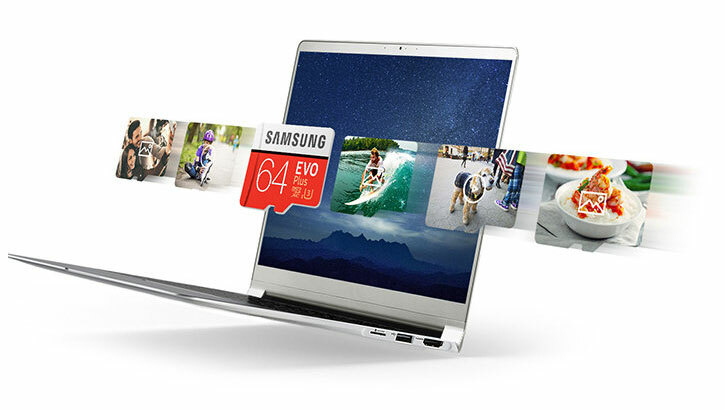 This option from Samsung is a 64GB model that offers UHS Speed Class 3 performance — that means 30 MB/s as a minimum write speed, enough to write 4K video directly to the card! That’s pretty handy. The high read and write speeds also ensure you don’t waste time transferring media from the card to your phone’s storage, or from the card to your PC. Each operation will be quick and efficient, exactly as you’d expect from a brand new smartphone. By the way, if 64GB isn’t your style, you can find larger 128GB and 256GB options here too. Tuesday 12th June 2018 by Vane Nunez in Uncategorized. The Moto G6, G6 Play and G6 Plus, as well as the Moto E5 have arrived to New Zeland on June 7th, in-store through the usual channels, as well as online through the Motorola website. The most impressive of the lot is the Moto G6 Plus. It is a bit more expensive than the Moto G6 but it is worthy. We can start with the processor that is more advanced, 2.2GHz Qualcomm Snapdragon 630 processor and 4GB of RAM, where the regular G6 has a 1.8GHz Snapdragon 450 processor and 3GB of RAM. The G6 Plus has also the most advanced dual camera setup of the G series. At the rear, you get a dual camera setup: one rear-facing 12-megapixel shooter and a 5-megapixel secondary camera, the latter being used to provide depth information for portrait mode and other depth-based effects. As for the front-facing 8-megapixel camera, the results are good, but not impressive. It does have a front-facing LED flash, which is perfect for indoor selfies in poor light. Moto G6 Plus has far greater longevity than the G6 too (3,200mAh compared to 3,000mAh respectively) which would likely have delivered a full 24 hours of use. The Moto G6 Plus looks one and the same as the G6, its larger size not being particularly noticeable by eye or when in the hand.The display measures 5.93in from corner to corner, a smidge over 0.2in larger than the regular Moto G6. We can conclude it is a great phone for the price and we suggest you to check our Motorola Moto G6 Plus Cases to keep it protected from the start. Friday 11th May 2018 by Rafat in Apple, iPhone, iPhone SE 2. 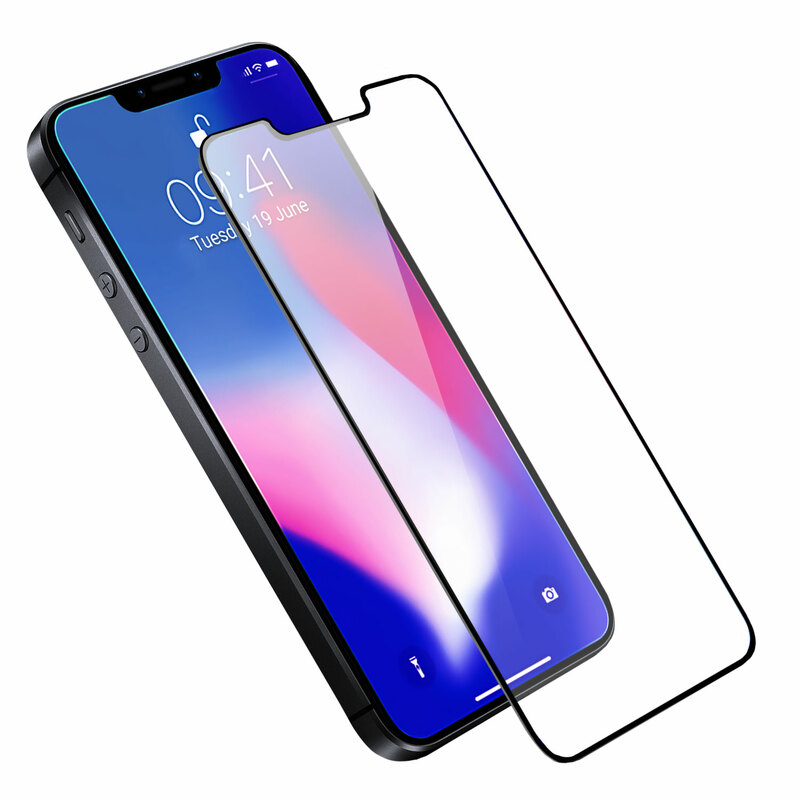 First, we have a render of an iPhone SE (2018) screen protector. This gives us a great look at the phone from the front and the side, showing off an all-screen design that mimics that of the larger iPhone X (and a rumoured iPhone X+ that might arrive later this year). This more efficient design means you get a compact phone with the screen of a much larger phone; an impressive feat. As before, the removal of the home button means that Face ID will be used to unlock the phone and gestures will be used to access the home screen and multi-tasking menus. Meanwhile, functions like taking screenshots and activating Siri have been moved to the side buttons. You can see that the Face ID cutout is proportionally larger than it is on the bigger iPhone X, with the screen protected scaled to match. Next, we have photos taken in what looks to be a factory, showing a screen protector for the iPhone SE (2018) sitting next to an iPhone 5. You can see that the screen protector is slightly smaller than the iPhone 5, suggesting that Apple have scaled down the iPhone SE (2018) slightly compared to its predecessor. There’s a notch at the top for Face ID, and no home button hole at the bottom, showing that this is a new design. 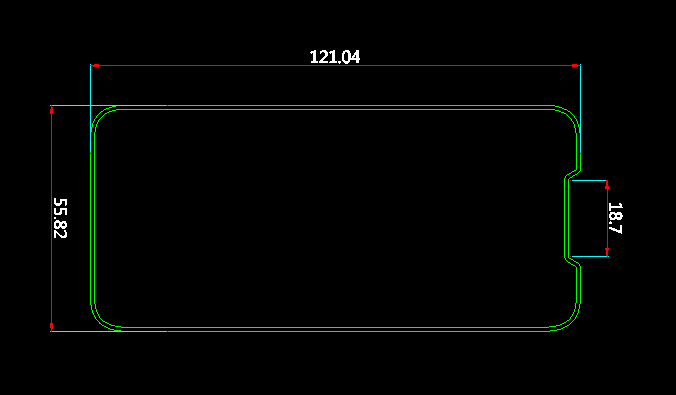 Our final image shows a CAD schematic for the phone, showing a design with measurements of 121.04 x 55.82 millimetres. In comparison, the original iPhone SE is 123.8 x 58.6 millimetres. This lines up with the earlier image from the factory floor, and suggests that Apple didn’t feel obliged to maintain case compatibility. So there we have it — an exclusive look at the iPhone SE (2018)! 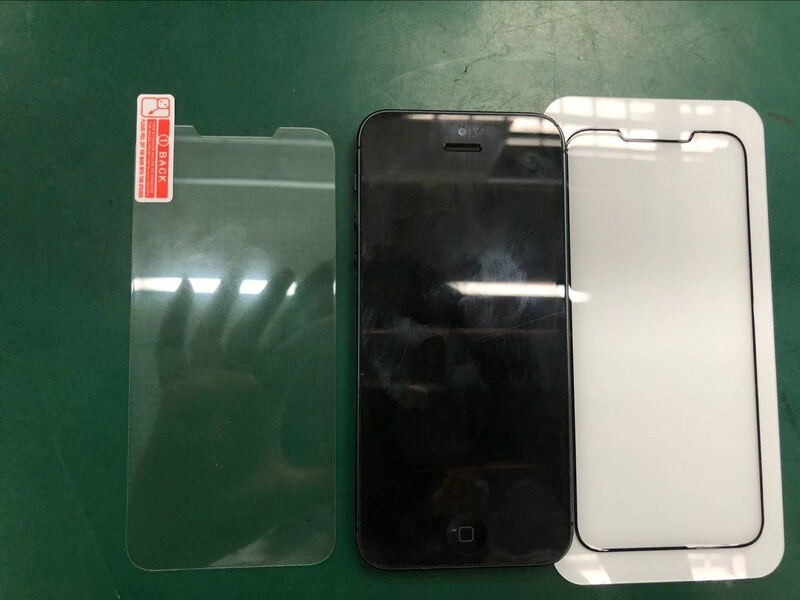 What do you think of the iPhone SE (2018) according to these leaked screen protectors? Let us know in the comments below, or write to us on Twitter @mobilezap! Thanks for checking out the article. Monday 7th May 2018 by Rafat in Accessories, Android, OnePlus 6. The OnePlus 6 is coming soon, and we’ve started to gather our favourite accessories for the new phone. We’ve rounded up ten of our top OnePlus 6 accessory recommendations, including protective items, chargers and cables, camera accessories, audio items and many more. Let’s get right into it! This protective combo includes a glass OnePlus 6 screen protector and TPU case that work together, providing excellent protection for the OnePlus 6 in a single box. 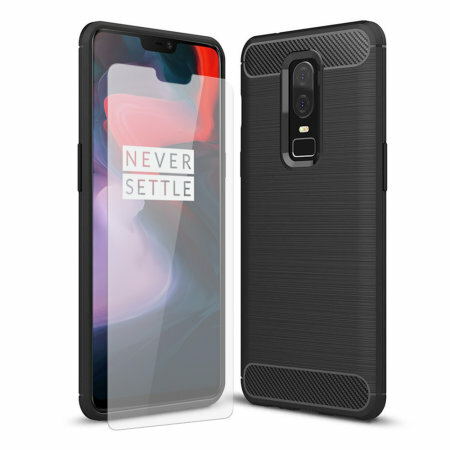 The case has a stylish two-tone design with carbon fibre zones, making for a modern look that will match that of the OnePlus 6. Meanwhile, the glass screen protector provides long-lasting protection in an easy-to-apply package. This universal USB-C dock is a good choice for the OnePlus 6, as it lets you charge at full speed when using the Dash Charge mains adapter that comes in the box with your phone. The dock will also be useful for other USB-C smartphones, so if you have family members or friends with recent Android phones they’ll also be able to use your dock — if they’re nice to you, of course! 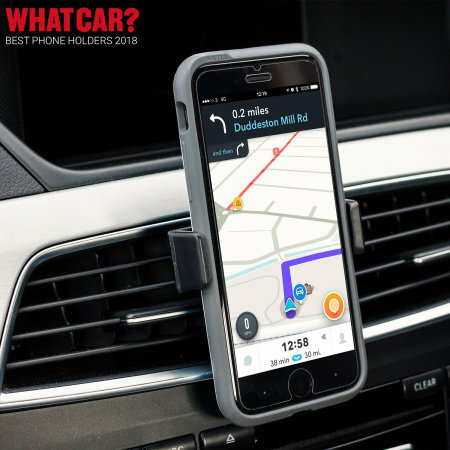 This car vent holder is one of the best we’ve seen, providing a stable platform for your phone in your car without taking up too much space. The expanding jaws can handle the OnePlus 6 with a case installed, while the portable nature of the car holder ensures it’s a good choice for rental cars as well as your own. You can even place a credit card into the back of the car holder to make it into an impromptu desk stand — nice! 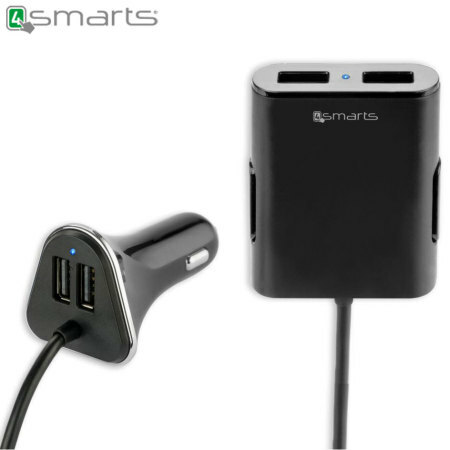 This HighPower car charger comes with a massive four ports, separate into two groups of two. That allows you to charge two devices up front, then two in the back as well — a whole family or group of friends can charge their phones simultaneously, or you can selfishly charge your phone, your Bluetooth headphones, your power bank and your FM transmitter all at once… the choice is yours! These E10 in-ear headphones don’t cost much, but they provide noticeably better sound quality than the headphones you normally get in the box with new smartphones. Stuff.tv loved them as you can see from the quote above, and the neutral styling means they’ll work with any outfit or style. OnePlus’ USB-C cables aren’t exactly well known for their quality, so you might want to upgrade to this armoured variant from Rearth. The braided nylon cable provides much better durability, lasting for years, while also not costing too much. 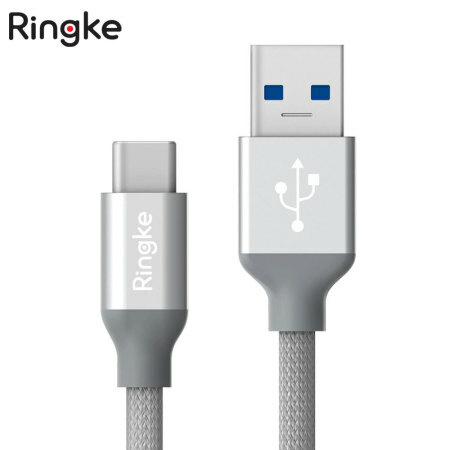 This is a nice choice if you need to replace an old cable or you just want a second cable to keep at work, in your car or elsewhere in your house. This shorter stylus is designed for use with smartphones, making it easy to sketch, write notes and do diagrams. 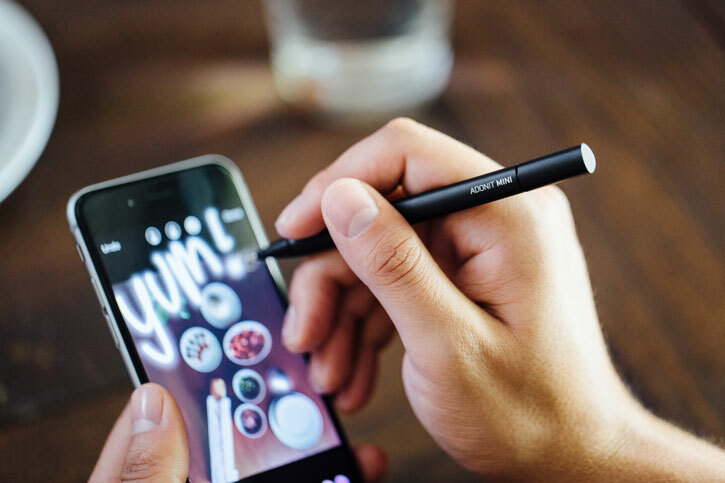 If you’re an artsy sort or you just like to take notes (somewhat) the old fashioned way, then this stylus is one of the best options for the OnePlus 6. 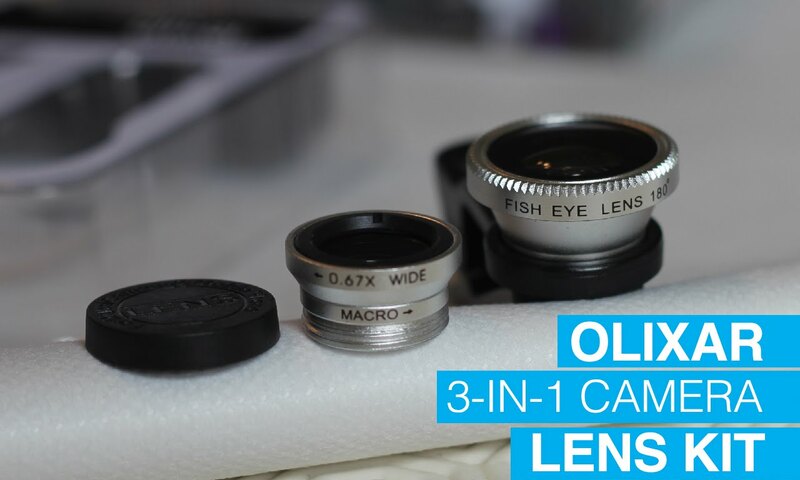 This lens kit comes with three options: a wide angle lens, a macro lens and a fisheye lens. You can take interesting pictures, shoot 90s era skateboarding videos and generally expand your photographic capabilities. Given the emphasis that OnePlus are putting on the camera this time around, you owe it to yourself to make the most of the hardware on offer! 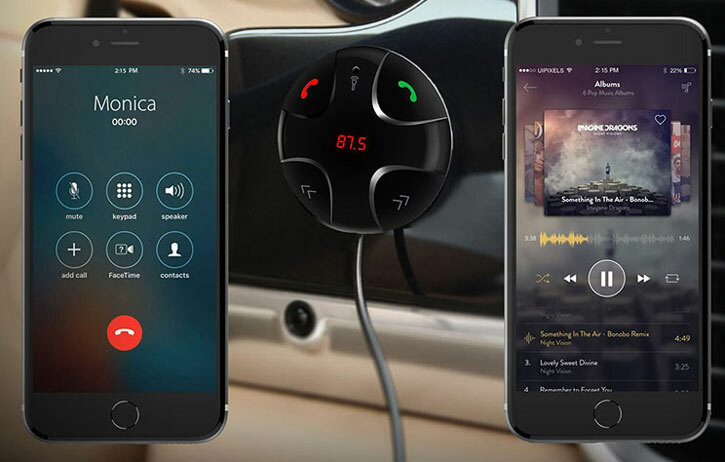 This clever gadget generates a short-range FM transmitter, allowing your car radio to tune into your smartphone and play your music over your car’s speakers. This is awesome for listening to your favourite songs at the volume they deserve, and works well for taking calls safely or listening to audio books during your commute as well. We’ll conclude with a healthy option, this universal bike mount for the OnePlus 6. The mount allows your phone to sit in a convenient position on the handle bars, allowing you to see your route, check your progress in fitness apps or just keep an eye on incoming messages. Anyone who has struggled to pull their phone out of their pocket while riding will surely appreciate this inexpensive upgrade! Monday 5th March 2018 by Rafat in Galaxy S9, Galaxy S9 Plus, Samsung. Today we’re covering the five most essential accessories for the new Samsung Galaxy S9 and Galaxy S9 Plus. That includes some great protective options for the new phones, plus connectivity accessories that can dramatically transform what you can do with the Galaxy S9. We’ll start off with a look at some of the best cases for the Galaxy S9 and Galaxy S9 Plus. Samsung have always made great official cases for their phones, and in 2018 they’ve taken this to new heights with their LED cover. This case protects the back, edges and screen of your Galaxy S9 or S9+, while adding minimal weight and bulk. The case’s unique cover has retro-style LEDs built in, allowing you to see the time and notifications without needing to open the flip cover. Inside, you’ll find a convenient safe space for your most essential ID or credit card. The case is also available in a wide variety of colours, allowing you to choose the one that best fits you. Of course, as this is an official case, every case will fit the S9 or S9+ perfectly in size and style! These attributes make the Samsung LED cover a case worth considering. The Olixar Sentinel is the ultimate protective solution for the Galaxy S9, combining a premium tempered glass screen protector with a stylish two-tone hard case. This combination protects your Galaxy S9 against a range of hazards, from scratches and knocks to accidental drops. The case and screen protector have been designed to work in tandem, providing excellent pound-for-pound protection without sacrificing the light weight and clean lines of the Galaxy S9 and S9 Plus. The Sentinel is a great choice that won’t break the bank, making it one of our top recommendations for the Galaxy S9. The WhiteStone Dome is an incredibly impressive piece of engineering, a tempered glass screen protector that is installed onto your phone using a unique liquid adhesive and a UV lamp. This installation process takes the guesswork out, allowing you to follow the simple instructions to achieve a perfect result. Once installed, the screen protector provides excellent and long-lasting protection against scratches and shattering; it’s so strong that it can even be installed over a broken screen to prevent further damage! Of course, the best time to install this screen protector is right after you buy your phone, so don’t delay — check out the legendary WhiteStone Dome today! 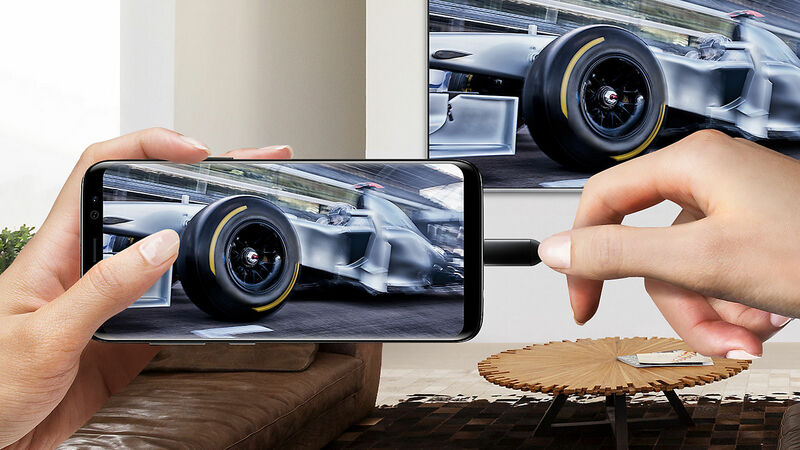 This simple adapter makes it easy to connect your Galaxy S9 or S9 Plus to the biggest screen in the room, whether that’s a TV, monitor or projector. Just plug one end into the S9 and the other into an HDMI port, and you’re golden. The advantage of the wired method is that it works anywhere, from modern smart TVs to ancient hotel televisions, and supports full 4K video streaming with surround sound and minimal latency, unlike wireless solutions. Whether you’re watching Netflix, playing games or just showing off your latest cat photos, this official Samsung USB-C to HDMI Adapter will treat you right. The Samsung DeX Pad is a more advanced take on the USB-C to HDMI adapter we just looked at, allowing you to connect your Galaxy S9 to a monitor and use it like a proper computer. That means the desktop versions of websites, your Android apps running in windows and even full-size versions of Microsoft Word. 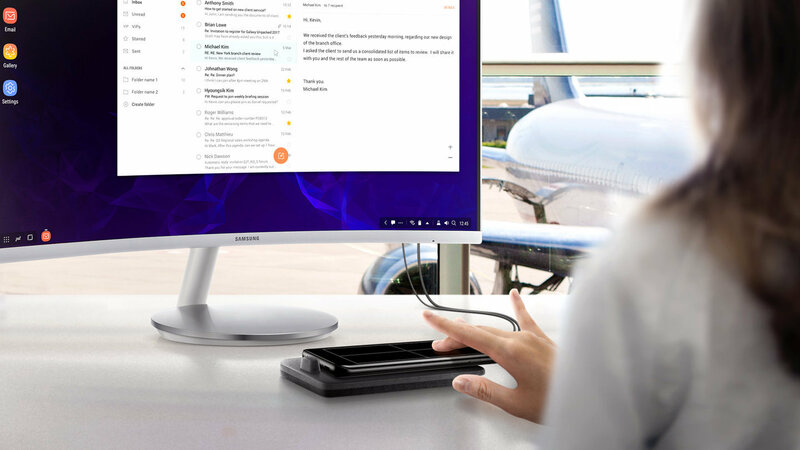 While last year’s DeX Station required a mouse and keyboard to also be connected, the new DeX Pad keeps your Galaxy S9 flat, allowing it to double as a keyboard or touchpad. Of course, you can still connect a keyboard and mouse if you like; with three USB ports available and passthrough USB-C charging you can plug in basically anything you’d plug into your laptop. Wednesday 15th November 2017 by Rafat in Apple, Mobile Accessories. The iPhone X is a gorgeous phone and a triumphant re-imagining of the classic design. But while this evolution has brought a new design and features, it’s also resulted in a few noticeable weaknesses. Thankfully, there are plenty of iPhone X accessories that can make your phone as strong and capable as it can be. Here are ten of our favorites, from essential upgrades to fun novelties that’ll still elevate your iPhone X experience. Let’s get into it! Apple’s official Lightning dock is one of the most stylish options on the market for elevating your iPhone X to its rightful position in the air. This makes it easy to see notifications as they come in, make video calls or even watch a video. The dock has a gorgeous metallic finish, a stable and secure mounting system and a built-in 3.5mm for your headphones too! We’ll look at tempered glass screen protectors later, but if you want a cheaper alternative then traditional plastic film screen protectors are still a good shout. This pack contains two screen protects for less than a tenner, and comes with an application card and cleaning cloth to make installation straight-forward. Don’t get lumped with a massive iPhone X screen replacement bill — get a screen protector today! Samsung isn’t probably a company you expected so see on an iPhone X list , but they do make some excellent accessories — and thanks to Apple’s inclusion of Qi wireless charging, you can use their top-notch Fast Wireless Charging Stand with the iPhone X. You’ll get normal-speed wireless charging for now, and fast wireless charging once Apple add it in a software update. This stand sets itself apart from the crowd with its convertible flat or angled modes and its simple style — a perfect complement to the iPhone X itself. This unique system is actually two items in one: a tough case for your iPhone X and a vent mount that puts your iPhone X front and centre in your car. The 7-layer polyurethane case will keep your iPhone X from getting scratched or cracked, and meets military drop test standards. Meanwhile, the AFIX+ magnetic car holder lets you put your iPhone X in position while driving with just a tap. Best of all, this fetching combo is available in three colours: red, blue and black. Awesome! Even if you have an Apple TV or a Chromecast lying around, you may still find that Apple’s Lightning to HDMI adapter is the best choice for getting your iPhone X connected to your favourite TV, monitor or projector. The adapter is super simple to use — connect it between your iPhone X and an HDMI cable, plug the cable into your TV, select the right input and you’re done. 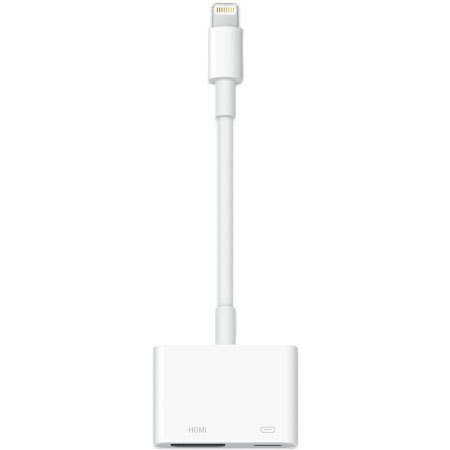 The adapter even includes a separate Lightning port, so you can recharge your iPhone X will it’s connected to the TV. This is an ideal way to share YouTube videos with your friends, play games on the biggest screen in the room or watch a movie off Netflix, no smart TV required. 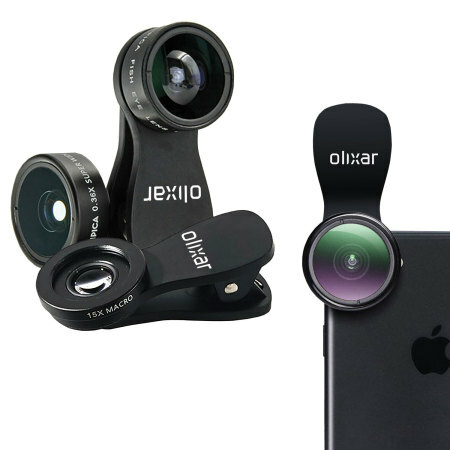 Olixar’s three-piece camera lens kit is the perfect complement to the iPhone X. Clip on one of the lenses above, and you’ll get a drastically new perspective that unlocks daring new photos and videos. There’s a super wide angle lens for capturing landscapes or fitting more people into your selfies; there’s a 15x macro lens for taking detailed photos of tiny subjects; there’s even a 180-degree fisheye lens that allows you to capture groovy hemispherical videos. Each lens clips on in seconds to the front or back cameras, making it easy to capture the shot you want. If you like to take photos, this is an awesome upgrade to the iPhone X’s already excellent camera system. 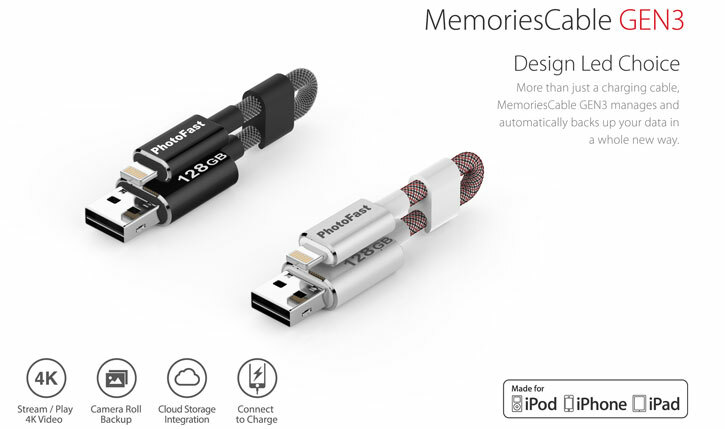 This unique accessory looks like a fancy Lightning to USB cable, but it’s way more than that. It’s actually a flash drive for your iPhone X, a means of transferring photos, videos and other files between your iPhone and your computer. One end plugs into your iPhone X so you can back up your photos or stream video files without copying them to your phone, while the other end plugs into your laptop or desktop. Awesome, right? The iPhone X’s screen is its biggest strength, but also its biggest weakness. With screen replacements costing £286 (yes, seriously) and accidental damage not covered under the warranty, you really ought to invest in a screen protector. 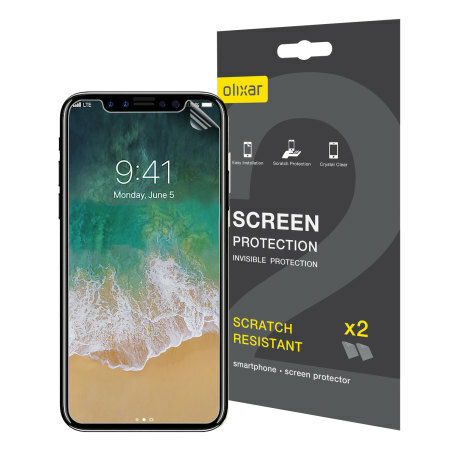 This one from Olixar is case-compatible, so you can use it with basically any case on the market, and is made from tempered glass that provides long-lasting protection. Like last year’s iPhones, the iPhone X doesn’t come with a 3.5mm headphone jack. That’s pretty annoying if you’re attached to your existing 3.5mm headphones, as you don’t want to be using the 3.5mm to Lightning adapter all the time (and preventing your iPhone X from recharging in the process). Thankfully, you can turn any pair of 3.5mm headphones into Bluetooth ones with this handy adapter from Griffin. Just plug the headphones into the clip, and pair to it from your iPhone X. Then you can listen seamlessly, while controlling your tunes with the built-in five button remote control. This accessory will change your life with the iPhone X, so check it out! This supercharged mains charger is also one of the fastest ways to recharge your iPhone X. Just pick up a Lightning to USB-C cable, then connect it to the USB-C port of this charger to experience faster charging speeds than you’ll get from the standard full-size USB charger, courtesy of USB Power Delivery. Of course, you’ll also get four more ports, which you can use to charge all manner of USB gadgets: other phones, tablets, Bluetooth headphones, MacBooks and more. For $25, that’s a pretty good deal! Want a closer look at some of the accessories featured in this article? Take a look at our video which goes hands-on! Thanks for checking out the article, and be sure to let us know what you think in the comments below. If you have any questions or comments, we’d be happy to help. Thanks again and have a good week! Tuesday 7th November 2017 by Rafat in Uncategorized. Like the iPhone 8 and 8 Plus, the iPhone X includes a brand new feature for 2017: wireless charging. Apple sell a couple of wireless chargers that will work with the phone, but they’re pretty expensive. Thankfully, there are plenty of other wireless chargers on the market available at better prices, with different features and form factors. Here are three of our absolute favourites, plus a bonus option you might not be aware of! Wireless charging makes sense in a lot of situations, but it’s at its best in your car. With all the hassles of driving, do you really want to be plugging in your iPhone every time you set out? With this wireless charging car holder, you can skip that step — just slip your iPhone X into the holder, and it’ll automatically start charging wirelessly. You can keep your phone in landscape or portrait orientations, and its sleek design matches Apple’s instantly iconic iPhone X perfectly. The model shown above is a windscreen or dashboard version, and you can also find a vent-gripping alternative if you prefer. Mophie’s Quick Charge Wireless Charging Pad justifies its slightly high price through its power output: up to 7.5W, compared to 5W from many competing chargers. That won’t do anything now, but Apple are planning to upgrade wireless charging speeds to 7.5W in a later software update — so you’ll be future proofed nicely. The pad itself is quite stylish, with a minimally distracting status LED and a tidy circular design. This wireless charging pad offers the best value for money, giving you fast and easy wireless charging at less than £20. The charging pad itself is small and discrete, with a blue LED that lets you know when charging has begun. The pad is so small and light that you can easily keep it in your bag to use at your hotel room, at the office or wherever else you need to recharge your iPhone. There are more powerful and fully-featured options, but the Universal is the value king. 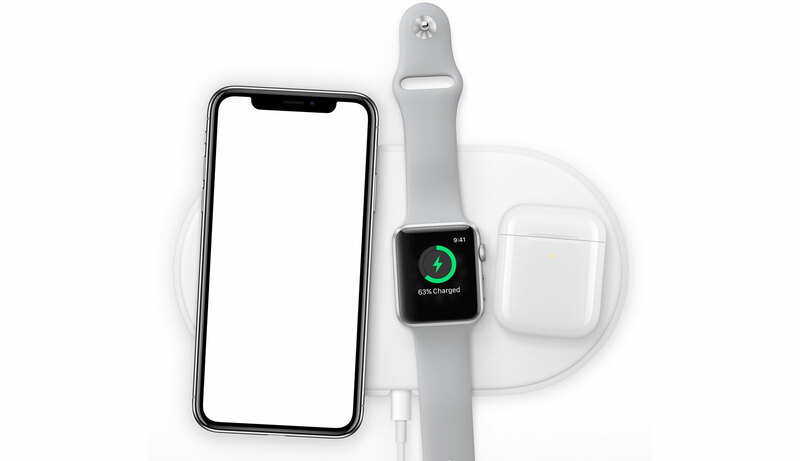 Apple’s AirPower wireless charging pad won’t be available until sometime next year, and it’s sure to be expensive… but it’s also quite special. Apple are planning to allow multiple devices to be recharged from the AirPower charging pad, so you could refill your AirPods, your Apple Watch Series III and your iPhone X, all from the same charger. That’s pretty awesome! You should also make sure that if you’re getting a case, that it’s compatible with the new wireless charging feature. You can find a selection of our most popular wireless charging compatible iPhone X cases here. Thanks for checking out the article. If you have any questions, please ask them below or read our guide to wireless charging on the new iPhones. Thursday 19th October 2017 by Rafat in Apple, Uncategorized. Today we’re looking at some of the best wallet cases for the iPhone 8! This includes a number of cases in the classic folio design, plus some more modern examples with new form factors and materials. Shall we begin? OK! The Olixar X-Ranger is a unique case that combines a modern design with an integrated multi-tool and a quick access compartment for card storage. This rugged case has a multi-layered design, allowing it to withstand use and abuse that would crack other cases. The X-Ranger also comes with a built-in kick stand, allowing you to watch videos when you’re not out there crushing it, you absolute legend. This gorgeous luxury wallet for the iPhone 8 comes with an eye-catching sparkly design made from hundreds of glimmering crystals. The case is crafted from premium materials to stand up to daily wear and tear, while the card slots allow you to keep your most important pieces of paper and plastic close at hand. This case is perhaps the most stylish on this list — are you going to make it part of your wardrobe? This wallet is all about the essentials: a classic folio design with card slots in the front cover and a viewing stand in the back, made from genuine leather. This allows the case to wear naturally over time, while giving you the classic rugged look, feel and smell of real leather. For £20, I don’t think you’ll find much better than that! The UAG Metropolis is a uniquely rugged case on this list, providing equal measures of protection and convenience. The case opens to reveal card slots within its front cover, which also serves to protect the screen from scratches and dents. The phone has a water-resistant FrogSkin exterior that allows it to shrug off water and provides tons of grip, making it hard to accidentally drop your phone. If you want to keep your iPhone 8 in perfect condition, this is the case to do it. Our final spot goes to the Olixar X-Tome. This gorgeous leather-style case takes the form of a leather-bound book, providing both a unique look and secure storage for your cash and cards. The case comes with an integrated stand so watching videos on the go is easy, while the reinforced decorated spine allows the case to sustain years of use. This vintage look is one of the must eye-catching we’ve seen, and combined with the case’s excellent functionality it’s an easy pick for our top spot. Thanks for checking out the article. If you have any questions or comments, leave ’em below! Thanks again and have a good day. Thursday 19th October 2017 by Rafat in Uncategorized. 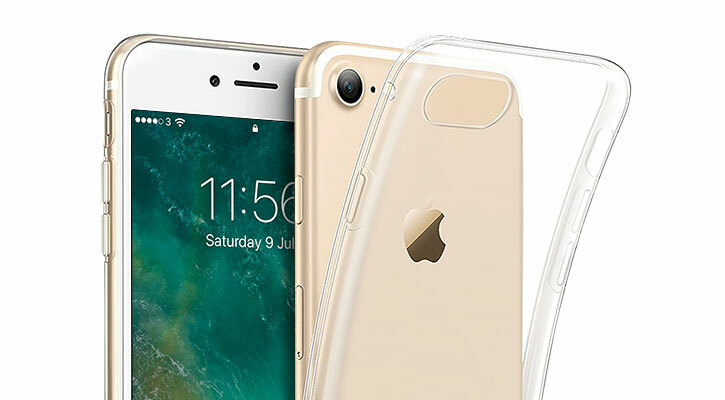 Clear cases are brilliant – they allow you to show off the iPhone 8 you chose, without exposing it to the dings, dirt and scratches of everyday wear and tear. Here are five of our favourite iPhone 8 clear cases, a range of options from simple budget cases to highly crafted premium alternatives. Let’s get right into it! Our first case is the epitome of cheap and cheerful. This case offers a simple gel design that covers the back and sides, proving a lightweight addition to your iPhone 8. The clear case allows your choice of colour to shine through, while the durable gel material provides good protection against knocks and scratches. The FlexiCover takes it a step further, protecting both the front and back of your iPhone 8 with a lightweight gel solution. This means that you don’t need to fit a screen protector; this is better. If you often put your iPhone in a bag or pocket with other objects, this is a great way to ensure it stays unscratched and in tip-top condition. This case is still quite affordable too, only a few pounds more than the Crystal C1. The Moshi Vitros is a much more luxurious take on the clear case concept. The Vitros combines a clear back cover with a beautiful rose gold border, making your iPhone 8 look its best. The case offers better protection than the two cases we’ve looked at previously, but it does come at a slightly higher price point. Still, for the quality you get here then it seems quite worthwhile! This chunkier clear case is all about protection, giving you a non-slip coating for extra grip and reinforced corners that allow your iPhone 8 to survive drops and falls much more easily. The case is still on the slim side, adding minimal weight to your iPhone, and comes in at a very reasonable price point. The Speck Presidio is our top choice when it comes to clear cases. Dual layers of protection allow it to survive drops of up to eight feet — and it’s got the military specification to prove it. The case is completely clear on all sides, allowing your iPhone 8 to take centre stage. It’s also slim, lightweight and fully wireless charging compatible — awesome! Pound for pound, we don’t think you’ll find a better clear case for your iPhone than this! Thanks for checking out the article! Be sure to let me know what you think of our selection in the comments, and feel free to check out our full range of iPhone 8 cases right here. Monday 28th August 2017 by Rafat in Uncategorized. The Note 8 has finally been unveiled! After last year’s battery fiasco Samsung have put a lot of work into the new Note, and it shows — there’s a new dual rear camera system, a gorgeous Infinity Display and a new, safer battery. Another selling point is Samsung’s rich accessory ecosystem, which includes protective items like screen protectors and transformative upgrades like the DeX dock that turns your Note 8 into a PC. 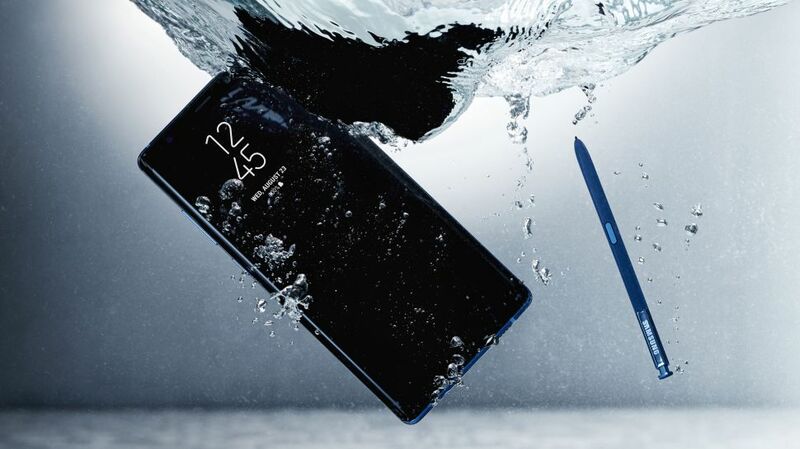 Here are ten of the best Note 8 accessories for you, available now at Mobile Zap! 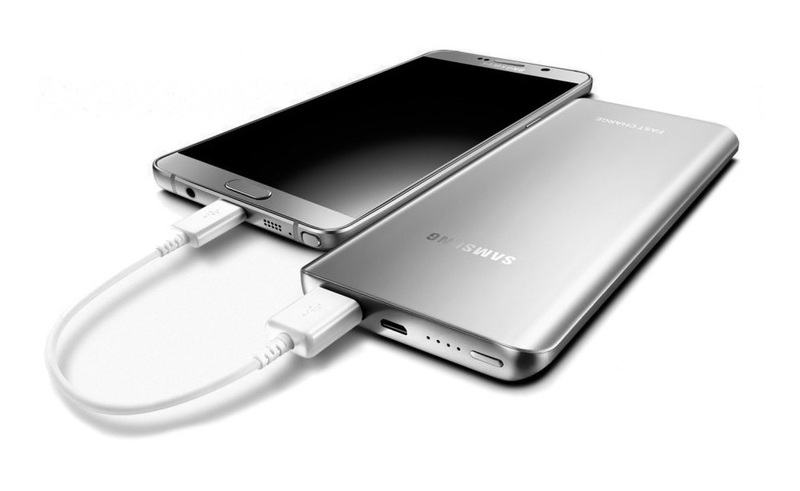 If the Note 7 is your first USB-C phone, you should consider this USB-C Cable Starter Pack. 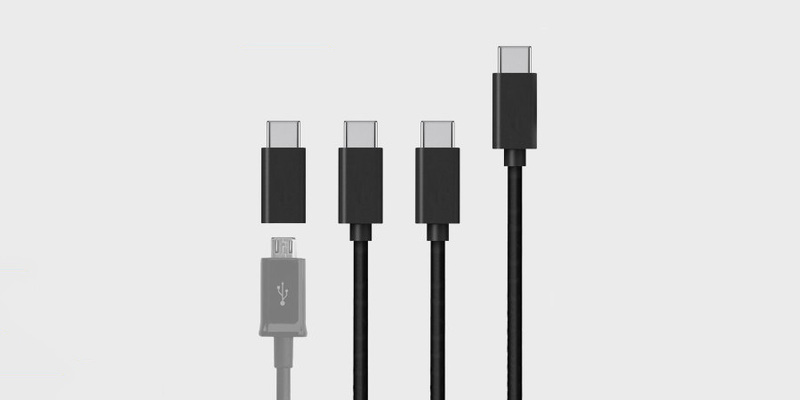 You get three new USB-C cables of various lengths, plus an adapter that lets you use older Micro USB accessories with the Note 8. For less than £20, that seems like a fair deal. f you don’t want to invest in the fancy Samsung DeX Dock, then this cheaper alternative might be worth considering. You don’t get to turn your Note 8 into a PC; you just keep it charged and ready to go at all times. That’s pretty handy, and I find it easier to use a dock than keep plugging and unplugging a cable. You also get the benefit of your Note 8’s screen always being visible, so you won’t miss incoming messages. Cool. These wireless in-ear headphones, available in white or black, are a sensible middle ground between traditional in-ear headphones and completely wireless alternatives like Apple’s AirPods. You can listen to music without worrying about one earphone falling out of your ear, you get an in-line remote, tons of battery life and easy charging over Micro USB — no special charging case needed. Lost your S Pen? Fancy a gold one instead of a black one, or vice versa? This official replacement from Samsung is identical to the one that came with your phone, and will help your Note 8 be more than just a marginally bigger Galaxy S8+. This 3-in-1 Lens Kit can clip onto any one of the Note 8’s three cameras, allowing you to take photos from brand new perspectives. There’s a macro lens for detailed shots of tiny subjects, a wide angle lens for easier selfies or wider landscape shots and a fisheye lens for filming 90s-style skateboarding videos. The lenses screw together for easy storage, so you can pop them on and off whenever you need ’em. If you want to take full advantage of the Note 8’s new camera setup, this is the way to do it! n.b. you will need to manually move the clip-on lens if you switch between the two rear cameras, as the kit will only fit over one lens at a time! Portable chargers and power banks are super useful, but not all are created equal. This one from Samsung is a great example — its 5200mAh capacity is good but nothing special, but it delivers that power way faster than most others on the market thanks to Fast Charge support. This is the same standard that is built into Samsung’s mains adapters, so you can recharge your phone about twice as fast as you could from a regular power bank. Combined with good looks and an attractive price, and this official Samsung accessory becomes our top pick for the Note 8. There are plenty of Note 8 Micro SD cards on the market, offering a range of sizes, speeds and special abilities. 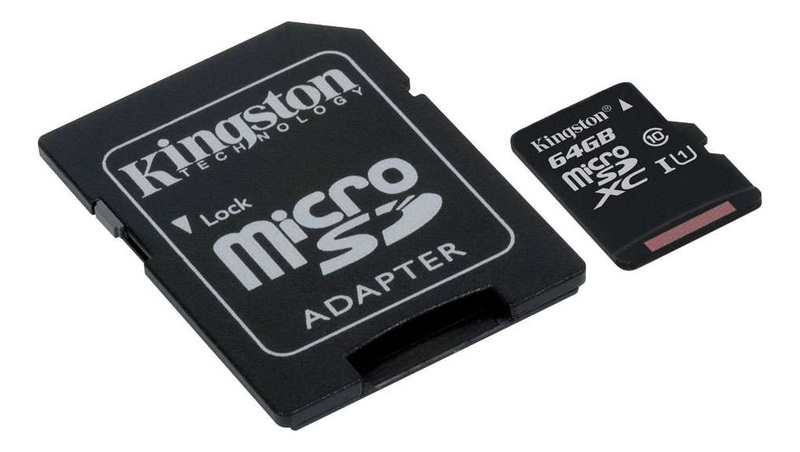 This Kingston Micro SD card is a good all-around choice, offering a lot of storage for a pretty low price. Its UHS Speed Class 1 rating means that you won’t be left sitting around while media copies or apps load, and it even comes with a full-size SD adapter so you can use it in DSLRs and other devices too. Pop your Note 8 into this specially designed VR headset, and you’ll be transported to different places, spaces and times. Different apps allow you to watch movies in a virtual theatre, play immersive games or watch live or recorded 360-degree broadcasts of sports games and other important events. The Note 8’s gorgeous display makes it one of the best phones ever for mobile VR, so don’t let it go to to waste! This is the ultimate screen protector for the Note 8, giving you edge-to-edge protection thanks to its unique curved glass design. Great care has been taken to ensure the screen protector fits the Note 8 perfectly and doesn’t interfere with any cases you may want to use. Combined with glass screen protectors’ intrinsic durability and ease of installation, and you’ve got a top notch screen protector on your hands! This official Samsung desk dock has a unique ability: it can turn your Galaxy Note 8 into a full-fledged PC. Simply connect a mouse, keyboard and display, and you’ll be able to use your Note 8 on the big screen — have multiple apps open at once, see the desktop versions of websites, and just generally become super productive. If you’ve ever dreamed of having one device that can do it all, a desktop PC you can keep in your pocket, then the Note 8 with the DeX Dock is worth checking out. Thanks for checking out the article, and be sure to let us know what you think of our suggestions in the comments below. If you have any questions, we’d love to hear those too! Stay tuned for more Note 8 accessory blogs, guides and news! Copyright © 2019 MobileZap. All rights reserved.